For decades, the settler movement and Israel’s secular, largely Ashkenazi urban elite have been playing a game of “pretend.” The secular political elite claimed the settlers were religious ideologues, obstacles to peace and not representative of mainstream Israeli society. The settlers, meanwhile, charged that an effete minority ruling class ignored their contributions and commitment to the state. But all the while, successive governments headed by secular, purportedly liberal leaders tacitly expedited settlement growth even as the secular, purportedly liberal judiciary handed down rulings that effectively sanctioned settlements, which are built in contravention of international law. The settlers, meanwhile, became increasingly confident as they rose to occupy important positions at the highest levels of the state’s key institutions – the legislative branch (Knesset), the executive branch (the governing coalition), the judiciary and the army. 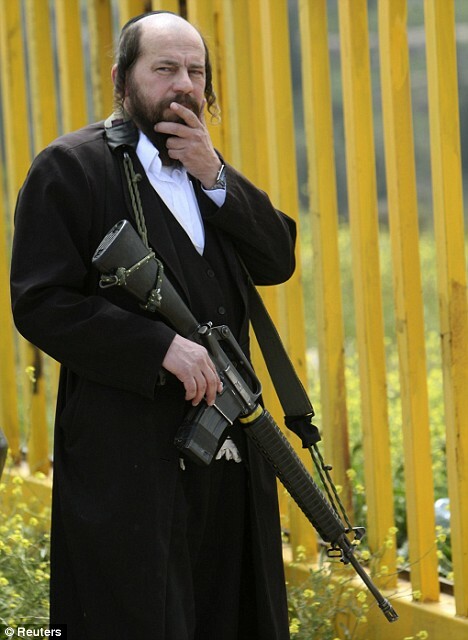 In 2012, the game became reality: The settlers are the new ruling elite of Israel. According to all the polls, Israelis will elect an unprecedented number of Members of Knesset (MKs) from far-right parties, even as Likud’s relative moderates have been ousted and replaced by settlers and ex-settlers with radical political agendas. A settler was appointed to the Supreme Court in 2012, while a former justice declared that the West Bank was not actually occupied territory. Israel’s fourth estate, too, is partly “occupied” by the settlers. This year, Shlomo Ben-Zvi, a far-right publisher and settler who owns the frankly nationalist daily Makor Rishon, bought Maariv – one of Israel’s three veteran daily newspapers. While Maariv took a right-of-center editorial line in recent years, for decades it was Yedioth Ahronoth’s chief competitor for the title of Israel’s most mainstream daily newspaper. Throughout the year, over and over, settler violence—price tag attacks on Palestinian property, unprovoked violence against Palestinians, even flat-out murder—has gone unpunished. Worse, it rarely elicits public condemnation or even, except for a few high-profile incidents, extensive media coverage. The settlers have influenced the national narrative to the point that politicians who talk about peace, the two-state solution and negotiations risk becoming irrelevant. For all these reasons, +972 Magazine has chosen The Settler as its Person of the Year for 2012. In 2012, Judge Noam Sohlberg was appointed to the Supreme Court; he was the first settler to be elevated to this position. Eyal Clyne wrote in an article for +972 that Sohlberg “has a proven record of controversial anti-liberal rulings in lower courts, some of which were later reversed.” His appointment resulted from “… sustained pressure on the Judicial Selection Committee, the body responsible for appointment of judges in Israel.” The right-wing coalition brought the committee to a deadlock, all-but forcing it to select conservative judges. Also this year, a committee headed by former Supreme Court justice Edmund Levy concluded in its report on the legal status of the West Bank that it was not occupied territory but rather administered territory. The report also stipulated that illegal outposts should be declared legal. The Levy Commission was appointed by Prime Minister Benjamin Netanyahu. While the Levy Report does not contribute anything new to the Israeli discourse, it does offer the stamp of legitimacy to what was once considered an extremist narrative. According to all the polls, when Israelis cast their ballots on January 22, they will send an unprecedented number of elected representatives from the far right to the Knesset – settlers, former settlers and supporters of the settler movement. These include Moshe Feiglin, who led the anti-Oslo disobedience campaign in the Knesset, and Naftali Bennett, former head of the Yesha council and today head of Habayit Hayehudi (Jewish Home), the party of the national religious settler movement. Bennett, and not the leaders of the center or the left, is seen as Prime Minister Netanyahu’s main rival in these elections. Avigdor Lieberman, who recently resigned as foreign minister after it was announced he would be indicted for corruption, is still head of Yisrael Beiteinu, which has merged with Likud. In other words, Lieberman, resident of the settlement of Nokdim, is now the deputy leader of Israel’s ruling party. In the upcoming elections, a party called Otzma LeYisrael (Strong Israel) is running on a platform rooted in ideals of racism and violence. With a list of candidates that includes Aryeh Eldad and notorious Kahanists like Itamar Ben-Gvir and Michael Ben-Ari, at least half the polls show the party is expected to pass the threshold and gain two or three seats in the Knesset. With Likud-Beiteinu polling at about 35 seats and the far-right parties at 15 or 16 seats, and given that Netanyahu is all-but guaranteed to win the coming election, it is very likely that he will form his next coalition in the 120-seat Knesset with the far-right parties, rather than the center and center-left parties, like Hatnuah, headed by Tzipi Livni, and Shelly Yachimovich’s Labor Party. But even if Netanyahu ends up with a more centrist government, the far right will be the dominant ideological force in the next Knesset. The success of the settler movement is reflected in changes to the national conversation. Labor leader Yachimovich, who was elected to lead a putatively liberal-left party, will not touch the issues of the occupation and negotiations with the Palestinians. Nor will Stav Shaffir, one of the faces of the J14 social justice movement, who is now running for a Knesset seat on the Labor list. Both women know that the national narrative has swung so far to the right that mentioning the occupation will make them politically irrelevant. Yachimovich, a former journalist, a social democrat and a feminist, once voted for Hadash. Now, after entering political life, she says she supports the accreditation of a university in the settlement of Ariel, wants the budget for settlements to remain untouched and announced she would not rule out joining a government coalition headed by Likud. Shaffir has not taken a public position on the settlements. The J14 movement that she helped lead in the summer of 2011 refused to draw a connection between Israel’s wealth gap and the funding shifted to the settlements, lest they make the movement “political.” She continues to focus on issues of domestic social injustice, completely ignoring the conflict. Yet the traditional focus on the center seems somewhat irrelevant, as a new role model of the Israeli Sabra emerges in figures like Bennett, who has been receiving quite a bit of publicity lately, including a feature in the New York Times. The cherubic, youthful-looking Ra’anana resident is a former director general of the Council of Judea and Samaria; prior to that he was Netanyahu’s chief of staff, when the Likud was in the opposition. Born in Israel to American parents, Bennett served as an officer in an elite combat unit before going on to make his fortune in hi-tech, which is practically an Israeli Everyman story for men of his background. But Bennett, the Zionist patriot, recently said in a television interview that as an army reserve officer he would refuse orders to evacuate settlements. Refusing orders has long been a red line that few dared to cross; politicizing one’s army service was considered a taboo in mainstream Israeli society that many thought made one unelectable. Yariv Oppenheimer, the former director of Peace Now, continued to serve his annual reserve duty in the West Bank even as he devoted his career to ending the occupation and eyed a career in politics. Oppenheimer ran unsuccessfully for a place on the Labor party list this year but was sidelined by internal party politics; if he had been a refusenik, his candidacy would have been unacceptable for a mainstream center-left party. But while leftists are marginalized for vowing to refuse service in the occupied territories — and are handed jail sentences for making good on their promise—Bennett’s popularity and poll numbers seem unaffected by his controversial statement. If anything, he has become more popular. The ground has indeed shifted. The past year saw a precipitous rise in settler violence against Palestinian civilians. Some of the more egregious attacks received wide media coverage, but the settlers seem to operate in an atmosphere of impunity. Only a handful of indictments have been filed for uprooting olive trees, vandalizing and burning mosques, firebombing cars or accosting and beating Palestinians so badly that they require hospitalization – for no reason other than their being Palestinian. In August, settlers threw a firebomb at a Palestinian family traveling in a taxi near the settlement of Bat Ayin. The entire family was wounded and required hospitalization, including an infant. The parents and driver received third-degree burns. That same week, a mob of Jewish teenagers assaulted and beat unconscious Jamal Julani, a 17-year-old Palestinian boy from East Jerusalem, while he was walking on a popular downtown pedestrian mall in West Jerusalem. Other reported incidents of violence committed by settlers this year include the severe assault of an Israeli Ta’ayush activist in the South Hebron Hills. The activist testified to being blindfolded and beaten by a group of settlers. Just this week, five settlers accused of tracking IDF activities in order to thwart evacuation of outposts were let off with just community service and up to three months in jail. According to reports published earlier this year by EU officials in Jerusalem, settler violence more than tripled over the last three years. Yesh Din, a human rights organization, reports that since 2005, fewer than 9 percent of police investigations into Palestinian complaints of settler violence have resulted in indictments. With the rise of the settlers, the once-radical idea that Israel should annex or maintain its military occupation of the West Bank indefinitely has gained new currency in relatively mainstream circles. Government approval for settlement expansion continues unabated. The taboo on discussing one state in liberal circles has been lifted. In 2012 we saw a flurry of op-eds declaring the two-state solution dead, with the writers making the declaration either with satisfaction or with regret. Judea and Samaria Council leader Dani Dayan declared in a New York Times op-ed that the settlers’ “…presence in all of Judea and Samaria—not just in the so-called settlement blocs—is an irreversible fact.” Likud MK Danny Danon published a book called “Israel: The Will to Prevail,” in which he sketches out his solution to the conflict: annexation of the West Bank and no Palestinian state of any kind. One Haaretz columnist has declared the two-state solution dead and painfully admits the majority in Israel seek one state; the nature of that state remains unclear. The emerging settlement reality has also reverberated within the American Jewish community. This is evidenced, among other indicators, by the fact that Peter Beinart, considered to come from within the mainstream Zionist, “pro-Israel” American Jewish establishment, made waves when he called for a boycott of Israeli settlement products. In a New York Times op-ed from March, Beinart argued that this is the only way to save the Zionist project. This was the year the settler narrative regarding Israel’s control over the West Bank became institutionalized: the Education Ministry mandated school trips to Hebron for high school students. The next generations of soldiers and leaders is being taught that the territory once regarded by the majority as temporarily occupied pending a negotiated solution, is actually part of the Israeli birthright. The rise of the settlers is a result of state policies. This has been the case since the 1970s, when the government began shifting funding toward Jewish settlement of the occupied territories, turning it into a major national enterprise that preoccupied successive prime ministers. In 1993, fewer than 100,000 Jews lived in the occupied Palestinian territories. Today, there are half a million; thus, almost one out of 10 Israeli Jews is a settler, and one out of five people living east of the fading Green Line is a settler. The political power of the settlers has extended to the judiciary, the powerful security establishment, the media and the business elite. They will decide Israel’s future—or perhaps its fate.